The only reason we even have to address this question is because, sadly, there are people out there who actually believe it. This outrageously anachronistic canard was first foisted on the world back in the time of known mass murderer, terrorist and PLO (Palestinian Liberation Organization) Head Yasser Arafat, who said, "Jesus was the first Palestinian shahid (martyr) who died for Palestine." If ever there was anyone who epitomized humility and grace while suffering torture and unjust abuse, it was Jesus Christ. And that is why Arafat's mantra has been repeated over and over again since 1967, the year these terrorists became "an oppressed minority who were only fighting for their rights:"
The ploy was designed to cause the Christian world to more closely identify with the plight of the poor, oppressed "Palestinians." It was intended to win the hearts and minds of ill-informed and gullible Christians. And it worked. To this day, many have chosen to ignore the lessons of Middle Eastern history and appear doomed to repeat them. And that is why we are forced to address this silly -- and easily disproven -- claim. We have already shown in previous articles that "Palestine" was the name forced on Judea in Israel by the Occupying Roman Emperor Hadrian in 135AD, or about a century after Jesus. 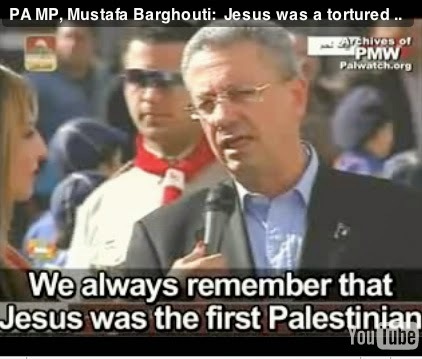 This fact alone makes it historically impossible for Jesus to ever have been called a Palestinian. But we can also show in even older documents that Jesus was not a Palestinian Muslim Arab, as Arafat and Company sought to imply. Jesus was not a Palestinian or a Muslim, which is an even more ludicrous claim as the religion would not be invented for over half a millennia. And neither was Jesus an Arab. 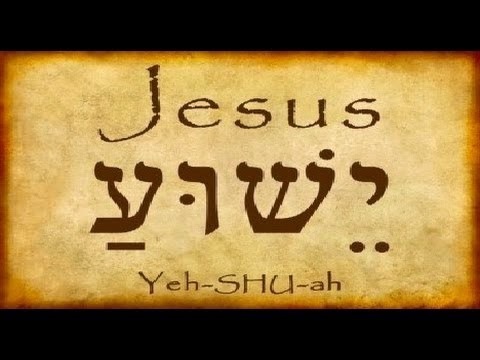 The historical documents which will prove this are the almost 2,000 year old New Testament manuscripts which clearly state that Jesus is a Jew. 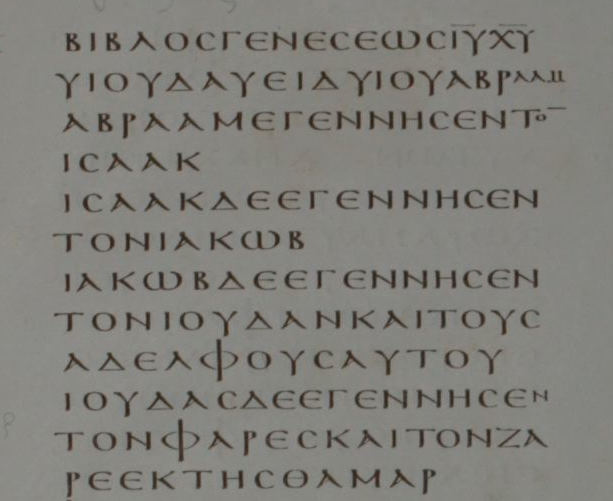 Worse yet for these historical revisionists, Jesus is clearly proclaimed in the New Testament text as, not just a Jew, but King of the Jews by His followers. 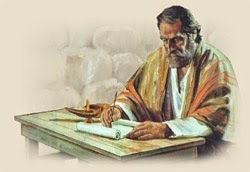 Evangelists Matthew (Matthew 1) and Luke (Luke 3) both provide genealogies for Jesus that show Him to have descended from Abraham, Isaac and Jacob. There are no two ways about it. Jesus was a Jew, and He was not a Palestinian. To use Jesus as a pawn in the game of Islam-driven politics is not just deplorable, it is blasphemous. It also shows the depths to which these men are willing to go to push their anti-Semitic agenda forward. Far too many of the Palestinians are, in fact, poor and oppressed, but it is only because they and their leaders have chosen to follow a religion which promotes hatred and violence of their literal neighbors, as opposed to the "Love thy neighbor" teaching of both Judaism and Christianity. For as long as the Palestinians believe in Allah and Muhammad, they will continue to think it their religious duty to exterminate the Jews. No one can expect peace to ever come to the Middle East for as long as that mindset prevails. 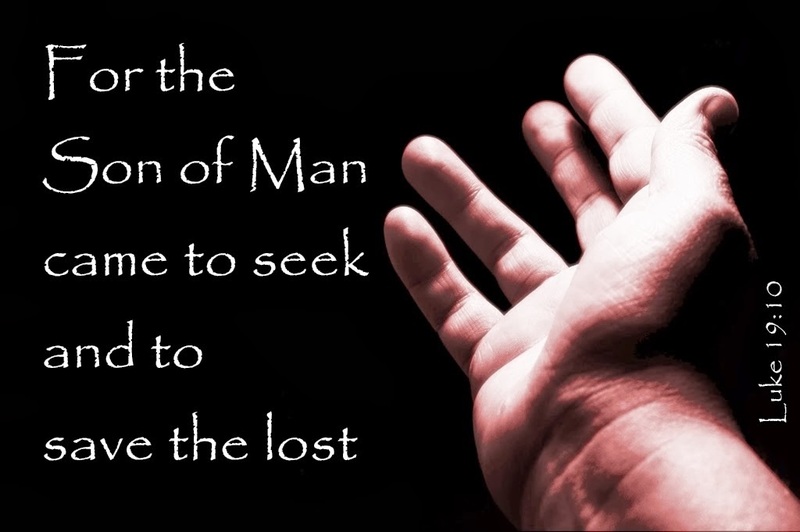 and to save the lost." Be sure to watch out for a coming article which will show how, every time Arabs talk about the Jews, they affirm the Jewish connection to the Land of Israel! Palestinians Are a Myth, Says Hamas Leader: "They Are Just Saudis And Egyptians"